Dear India, here are 7 enlightening lessons to end the blame game. Sincerely, Pakistan! The Pulwama attack was an unfortunate tragedy and an act of terrorism; one that should be investigated and the perpetrators held accountable. However, it seems that India is more concerned with upholding its anti-Pakistan narrative for a political agenda than actually trying to get justice or finding a solution for the Kashmir issue. The already tense dynamic between the two countries has escalated quickly and relations seem worse than they have been in a long time. But while Pakistan tries to use diplomacy and backchannels to call for peace, India seems to be too busy beating the drums of war. In the wake of this attack and the troubling incidents witnessed in its aftermath, here are a few lessons India should keep in mind before we reach the point of no return. The Jaish-e-Mohammed (JeM) has been banned in Pakistan since 2002, and while Pakistan has more control over groups such as the Lashkar-e-Taiba (LeT) and the Jamaat-ud-Dawa (JuD) due to Hafiz Saeed, it does not have control over the JeM. That, alongside the drastic increase in the level of grievances in Indian-occupied Kashmir (IoK), is an indication that Pakistan is likely to not have had any indication that such an attack was going to take place. Meanwhile, the attacker belonged to IoK, had a troubled past with the security forces, while the explosives were also obtained locally; all factors that reiterate what most already know – the independence movement in IoK is now homegrown. Thus, irrespective of the debate that surrounds Masood Azhar, given that the Uri attack was also conducted by the JeM on Indian security forces, the Pulwama attack is a failure on part of India’s intelligence, its security forces, and its own incapability when it comes to curbing Kashmir’s independence movement, which it sees as a problem. Placing the brunt of the blame on Pakistan to misdirect its public from seeing where the real problem lies may not work out in India’s favour in the long run. An interview with the parents of the attacker, Aadil Ahmed Dar, revealed that it was, in fact, his detention by the Central Reserve Police Force (CRPF) and the mistreatment he experienced without cause that resulted in his ‘radicalisation’. Isn’t this admission enough to question the role of the CPRF in IoK and the disillusionment of the valley’s inhabitants with this force and its abuse of power? Instead, now India has given free rein to Indian forces, which is counterproductive, given that the force itself is one of the causes behind the dissatisfaction amongst Kashmiris. Soon after the attack and the irresponsible coverage by sections of the Indian media, there were reports of Kashmiris being attacked in several Indian states. Students were hounded by mobs, and they later offered chilling narratives of being locked inside their rooms, unable to come out even after their supplies ended. Landlords were kicking Kashmiris to the curb, students were refused admission into universities, while a Kashmiri dean was suspended because a mob demanded it. These female Kashmiri students locked themselves in a hostel room yesterday in #Dehradun after a Hindu mob surrounded their college campus, demanding they be thrown out into the streets to be set upon. Make no mistake, this is not normal; this is a lynch mob, which is becoming a bizarre yet incredibly frequent occurrence in India. India’s first reaction after the attack was to blame Pakistan and demand revenge. Why then are so many Indians taking their anger out on Kashmiris, who are legal citizens of India? 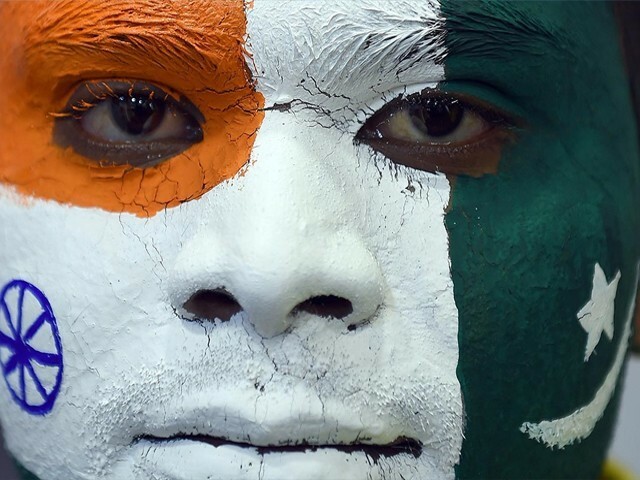 Why is India so ready to place the blame elsewhere – on Pakistan, on Kashmiris, even on Indian Muslims – yet so unwilling to look inwards and see the failure of its Kashmir policy? And what is this, if not an indication that India wants the Kashmir valley, but not the Kashmiris? In a country like India that boasts of its secular status, one would assume all is safe and well for its religious minorities. The reality is unfortunately far from the truth. 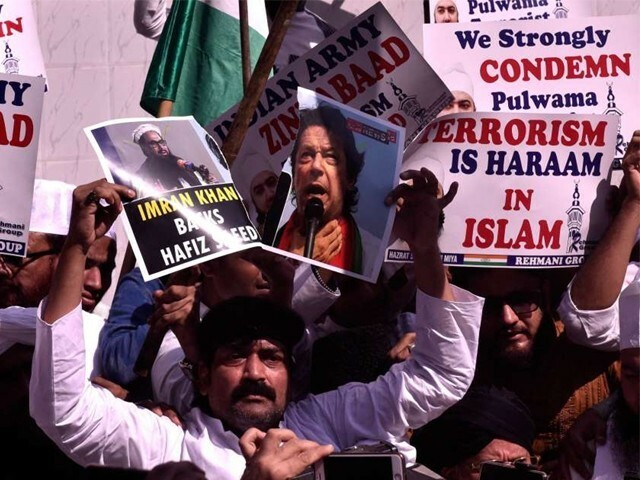 In the aftermath of the Pulwama attack, Muslims have yet again had to prove their patriotism by declaring how much they truly despise Pakistan. It seems that the precondition for a Muslim to be recognised as Indian is to declare hatred for Pakistan. Tweeple are lauding Muslims burning Pakistani flags and chanting Pakistan Murdabad. This anxious display is deeply disturbing. No citizen of this country should feel compelled to prove their patriotism as defined by a handful of jingoists to feel safe in India. For example, when Jaaved Jaaferi condemned the Pulwama attack, he was asked on Twitter to denounce Pakistan. He offered a sensible response, but it seems India is not ready for sensibility yet. It led to people accusing Jaaferi of being an accomplice and a Pakistani. He had to explicitly state his loyalty towards India and explain that his country’s enemy is his enemy, no matter if it’s the JeM or Pakistan. The fact that indian Muslims now have to scream like this to prove their loyalty towards the nation, is heartbreaking. It is time to remind ourselves that our ancestors had chosen secular India over Islamic Pakistan. And we are proud of their decision. During the Kulbushan Jadhav hearing at the International Court of Justice (ICJ), the Indian delegation snubbed the Pakistani delegation by refusing to shake hands with them. In India itself, a bus service between Muzaffarabad and Srinagar has been cancelled, while the Rajasthan state has given Pakistani visitors 48 hours to leave the country. Do these sound like the actions of a diplomatic country? There hasn’t even been an investigation thus far; India has presented no evidence of Pakistani involvement and has not broken off diplomatic relations officially, and yet it is carrying on with accusations, attacks and boycotts as if Pakistan has been declared guilty. On an international forum like the ICJ, you’re representing your country and ironically fighting your case with evidence. And yet in the court of law, you undermine the very same importance of evidence and investigation by refraining from properly greeting the Pakistani delegation, which is the professional thing to do. What happened to innocent until proven guilty? 6. Can India even fight a war? The narrative amongst the Indian public is clear: they want revenge, and they want it by attacking Pakistan and declaring a war. No matter the fact that both states are nuclear powers and that this would be a mistake of colossal proportions. After all, the closest the world has come to a nuclear war was during the height of the Cold War, and now the entire future of all of South Asia is under threat, just because India has pre-emptively blamed Pakistan and now its media is hungry for blood. However, what Indians are brushing over are its military capabilities at the moment. India’s army is undoubtedly larger than Pakistan’s, yet most of its equipment is old and in need of maintenance. In a report tabled before India’s parliament last year, it was revealed by the army vice chief that 65% of its arsenal is obsolete. India has also reduced its military spending to 1.6% of its gross domestic product (GDP), while Pakistan’s spending remains high at 3.2%. The debate over military spending aside, perhaps Indians should also proceed on the side of caution as they advocate war. After all, no one knows who will win a war if the situation were to escalate that far, but given that its army is not exactly in top shape, and even Indian army officials are telling people to calm down and are shying away from advocating war, why is India’s heart set on a war that may potentially cause self-destruction for them? So I hear that on a TV debate, @MajDPSingh opined emotions alone won't solve this, & more than military action, we've to ensure youth are not radicalized. Also asked why Pak not declared terrorist state. Anchor: "perhaps you haven't seen pics so are not emotional to take badla"
Immediately after the attack, Indian leaders went straight to DEFCON one, proving they do not know the difference between leadership and warmongering. Amidst the hullabaloo from India, everyone waited for Prime Minister Imran Khan to respond, and if there is anything Pakistanis can be proud of, it is Imran’s way with words when addressing the media. Imran’s speech was diplomatic, conciliatory, and yet resolute. He denied the accusations, claiming it would be idiotic to mar Indo-Pak relations further. He was reconciliatory when he asked India to investigate and provide evidence so that if proven, he would ensure the perpetrators are held accountable. And yet he was also clear: if India does take action against Pakistan, the country will not hesitate to retaliate. With a new leadership and under a new mantra of Naya Pakistan, we put forward the hand of friendship. But unfortunately, India shook it with a knife. After what we’ve been seeing across the border, Imran’s speech highlighted the mature and sensible leadership required if the two states are to move towards peaceful ties. Maybe the rising economy of the world should take a page out of Imran’s handbook? At the end of the day, dear Indians, we are all the same people; we belong to the same region, have the same culture, share the same history and come from the same roots. A line drawn in 1947 not only divided the land, it also divided the minds and hearts of its people. It is devastating to see that even after 71 years, we have not been able to move past Partition; instead, we are closer than ever to the animosity that divided the countries in the first place. Both Pakistan and India have their fair share of problems with each other, but these tensions should not be heightened for political gain. Politicians benefit from spreading fear, and the media benefits off it too, making the people the only ones who lose out as we grow to hate each other further. A war would mean destruction, an immense loss of lives, human displacement, economic losses, sexual assault, food shortages and further environmental degradation on both sides. Is this a price either country is willing to pay without at least trying diplomacy and a judicial process first? Do we really want history to repeat itself? Put aside the hate and ignore the propaganda being fed, and think about it yourself. Like PM Imran said: it’s easy to start a war, ending it may not be in our hands. 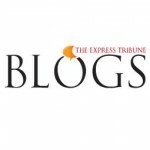 The Express Tribune Blogs desk. Assembling the Avengers: 21 Marvel movies ranked from worst to best! 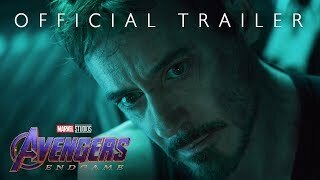 The Avengers: Endgame trailer has given us goosebumps, but will Pakistanis even get to see it? Ladies, if you think your man is #goals, you definitely need to raise the bar! #AqalOverShakal: Why is society suffocating me? The chai connection: What is it about chai that brings us together? The flaws in our education: Why are Pakistani students struggling with mathematics? What does your cell phone cover say about you?